There is not a cost to view this presentation. This presentation was recorded LIVE on September 11, 2018 and is approximately 60 minutes. Discuss the “where and why” of carbon fiber. Take a brief look at the literature. Discuss the significant increase in utilization. Un-pack the different functional mechanics of three main manufactures of Carbon AFO lines. 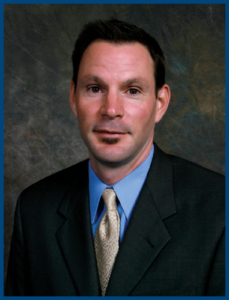 Travis Carlson is a partner and certified prosthetist-orthotist and practice manager at the Des Moines office of Clark & Associates. He is responsible for all aspects of patient care, as well as overseeing all clinical and business activities in this office. Carlson graduated from Northwestern University with degrees in prosthetics and orthotics. He fulfilled his orthotic residency in the Chicago area, providing acute and outpatient care at multiple Chicago area hospitals including Northwestern Memorial. Carlson completed his prosthetic residency with Clark & Associates while traveling to Walter Reed Army Medical Center, Washington, D.C., to provide care to the men and women wounded in military operations in Iraq and Afghanistan. Carlson routinely provides care that covers the complete spectrum of prosthetic and orthotic services. He has in-depth experience in the areas of pediatric orthotics (including cranial remolding helmets), functional electric stimulation devices and microprocessor-controlled prosthetic systems. Relevant to the content of this educational activity, Mr. Carlson indicated he has no financial relationships with commercial interest companies to disclose. Danielsson A, Sunnerhagen K. Energy expenditure in stroke subjects walking with a carbon composite ankle foot orthosis. J Rehabil Med 2004;36(4);165-168. Alimusaj M, Knie I, Wolf S, et al. Functional impact of carbon fiber springs in ankle foot orthosis. Orthopade 2007;36(8):752-756. Bregman DJ, van der Krogt MM, de Groot V, et al. The effect of ankle foot orthosis stiffness in the energy cost of walking: a simulation study. Poster presented at 13th ISPO world conference, Leipzig Germany, May 2010.